It’s funny how 7 days can go by so quickly and yet still seem like another time in one’s life. We set off from outside the Goodhope FM‘s studio in Seapoint with an uncertainty about what exactly lay ahead but also an excitement that it all promised to be fantastic. Last year Scoot62, the brain child of Guy McDonald & Rory Alexander, saw us scooting up Route 62. 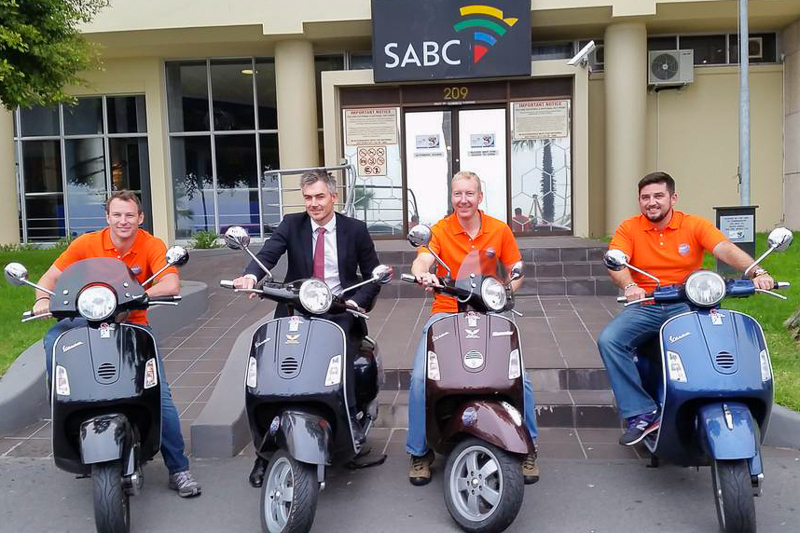 Scoot West Coast is the 2nd installment of this concept, brought to life by the commitment of Wesgro to showcasing the wonders that lie on our doorstep. Day 7. 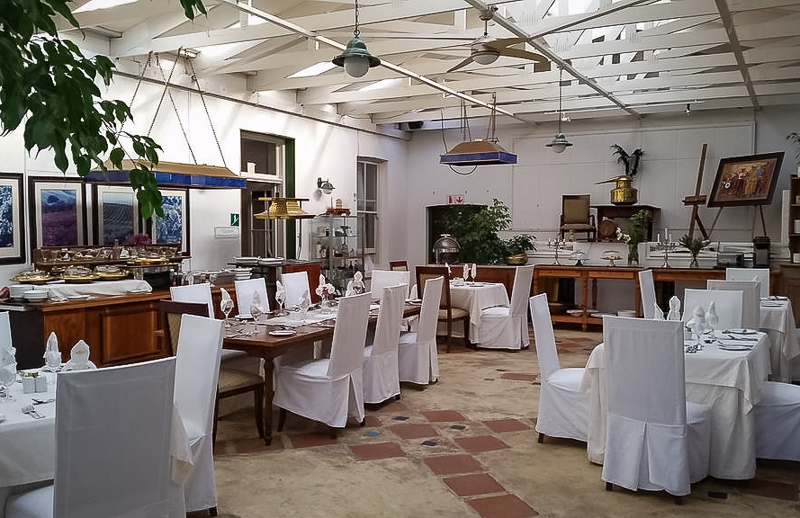 The final day of the Scoot West Coast tour… While general maintenance at the Riebeek Valley Hotel may have been neglected a little, the kitchen certainly hasn’t been and a delicious breakfast buffet spread awaited us as we leisurely began the day. If you do happen to find yourself at the hotel then try the scones – sensational!! With only a single item left on the itinerary, it felt strange to be waking up a little later and not being pressed for time to cram things in. I say only a single item, but it was perhaps the biggest item that I think you will find on most people’s bucket lists. Skydiving! 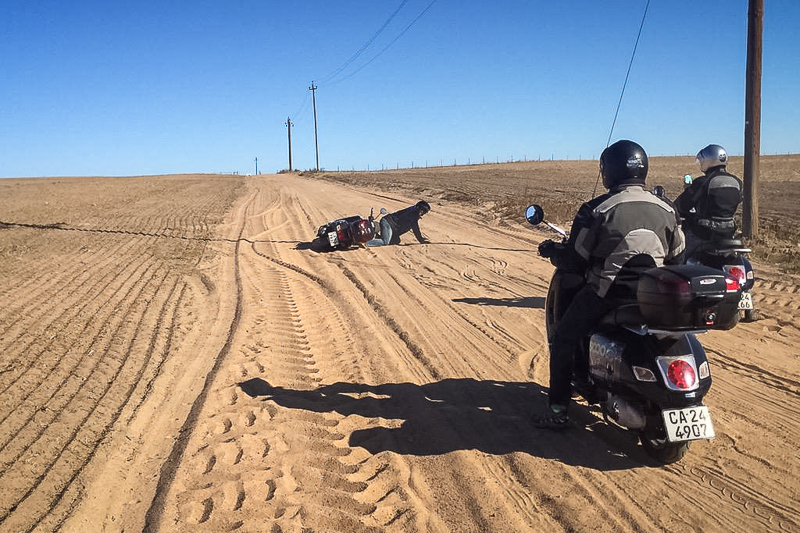 Not far from Riebeek West, just outside Malmesbury, lies a new ‘drop zone’ which has taken the operator, Mike Rumble, around 2 years to fully register and license given its relative close proximity to not only Cape Town international airport but also the Langebaanweg air force base. As we arrived at the airfield, we had our first & only scooter ‘crash’ of the trip (quite an improvement from last year which saw 2 crashes on the very first day! We’re proud of you for not falling once this year, Guy…) Siv “shortstop” Ngesi was navigating the dirt road towards the runway and hit a patch of soft sand that caused his back tyre to skid out from under him and the scooter to collapse on its side as Siv spilled out onto the road next to it. Whatever nerves may have been building up in the boys were instantly released in hearty guffaws of laughter as Siv scrambled to his feet, dusted himself off and righted the fallen scooter. I woke up because of something I had omitted from my blog update yesterday. Quite literally actually… That gentle humming noise that I could hear from within our Rocherpan eco-cabin as I awoke was in fact the sound of a passing Sishen-Saldanha train. Local reports had the train at between 3kms & 7kms long and that when the train departed, the front carriage was at a brisk 11km’s per hour before the back engine even started moving! Other tales told of how along the route the locomotives could not actually come to a complete stop & so changes of staff were facilitated through a rolling substitution – slowing the procession to 6km/h while old staff jump off the still-moving train while the new staff would run alongside and jump on. A quick Google search confirmed that in fact the longest train on this route was indeed 7.5Kms long (with 660 wagons, carrying almost 69 thousand tons of iron ore!) but that most trains on the line today are 3.7kms long with 342 wagons and requiring 8 locomotives/engines interspersed amongst the wagons to drive it along (still the longest production trains in the world!) That’s right, the train itself is over 3kms long! The sight of the train simply chugging along the line with a seemingly endless run of wagons taking minutes to pass is something that truly boggles the mind when you stop to really think about the sheer magnitude of this engineering feat. Morning of Day 4 and we’re half way through! Wow, time has flown by. 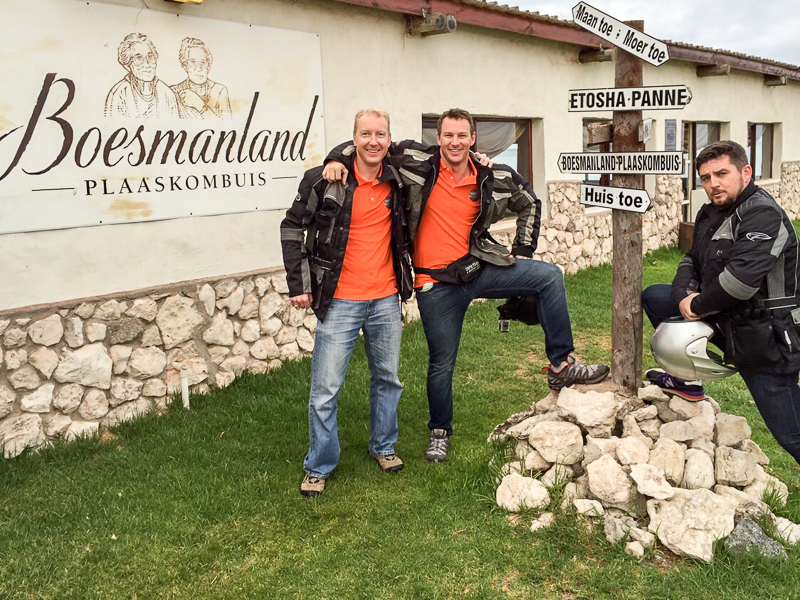 Once out of our cozy beds, we needed to suit up to get to breakfast, again at the very hospitable Draaihoek Lodge. Wisps of condensing steam escaped our mouths as we readied ourselves & breathed the somewhat fresh morning air. 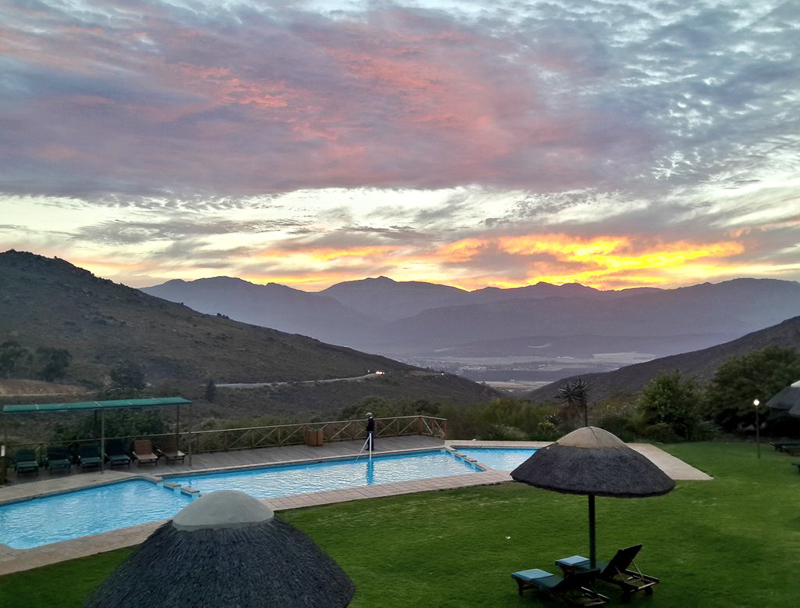 By the time we arrived at Draaihoek Lodge about 20 minutes later I simply could not feel my fingers. No wonder, as Dwain informed me that his car’s thermometer had registered our departing temperature at a mere 4 degrees! Nothing that cradling a warm cup of tea couldn’t cure though 🙂 A direct quote from Rory during breakfast -> “the best French toast and fresh honey I have ever had in my life! !” Added to this, some rather exotic fruit (Star Anise, Prickly Pear & a very interesting fruit called Persimmon or ‘Sharon Fruit’ that looks like a tomato but has a very distinctive sweet taste) and the standard hot breakfast staple of eggs, bacon and accompaniments & the certainty of me returning in need of a new belt continued. The start of Day 3 brought with it 2 fantastic new things that had been missing on the trip so far. Firstly – clear, sunny, blue skies. And secondly, the one & only Siv Ngesi, our fourth musketeer – both very welcome additions to the West Coast scoot festivities. Having never met Siv before I wasn’t too sure what to expect from the guy but with a broad, genuine smile, sharp wit & devil-may-care attitude I could see pretty early on that he was going to fit right in. Shelly Point Hotel know how to put on a proper breakfast spread, let me tell you! With a buffet choice of everything from croissants to bacon, omelets, fried eggs, scrambled eggs, poached eggs, mince on toast, fried tomatoes, cereals & muesli, yoghurt, fruits, baked beans, sausage, fried potatoes etc. I couldn’t help but notice Guy struggling to get his bike jacket zipped up a little later as we prepared to head out onto the road once again. One great thing about being on a scooter is the fantastic additional sensory inputs. The feeling of the cool air rushing past. The warmth of the sun when you arrive at a stop street or traffic light. The smell and even taste of the slightly tangy sea air. It really lets you experience the trip in a whole different way from driving in an air-conditioned car. The down side to being on a scooter…? Heading out of St Helena bay while being downwind of a fish factory. Wow! That’s one special & quite unique odour!! For those who followed day 1 & were wondering – yes, the Roulette gods did indeed smile down upon me & and I went some way to paying off that speeding fine from yesterday (found out it’s actually a 50km/h zone, so that red & white government envelope will have a little more sting to it than originally expected no doubt!) And thus, with a successful evening at the casino & a great night’s rest at Club Mykonos under my belt, I couldn’t help but have a smile on my face as Guy wrapped up the outside broadcast of the Goodhope breakfast show and we headed off to Boesmanland Plaaskombuis for some well-timed breakfast. You know you are in the heart of the West Coast when breakfast entails freshly baked bread, an assortment of homemade jams and a hearty plate of scrambled egg, pap & sous, sausage & ribs. (accompanied of course by some fire-heated “moer-koffie”) That’s right, no bacon – just ribs! And you know what… I didn’t miss the breakfast staple on the plate. Delicious, well-prepared sustenance for the road ahead, enjoyed in a very traditional west coast setting with tree stumps for chairs, a completely self-service approach (the manager even joked that if we had a problem with service then we should just go to the bathroom & look in the mirror as that is the outjie to blame!) and potjies bubbling over open fires.